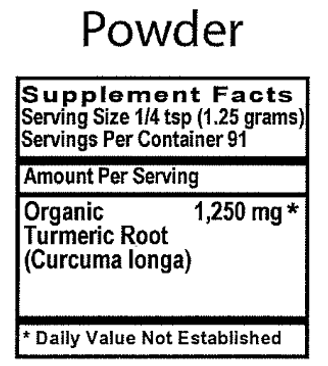 Curcumin is the active medicinal component and comprises 10-15% of the Turmeric root. There have been hundreds of clinical studies & research articles that support the wide array of health benefits that Turmeric has on the body. All of 7 Lights Herbal Supplements contain the highest quality herbals you will ever come across in the supplement industry. Most of them are organic certified herbs and the few that aren't do not contain any pesticides and have not been irradiated. Many of our herbs are actually grown domestically in a controlled environment to assure purity and quality. What's even better is these products compete with all the leading national brands you'll find in health food stores at an estimated 25% less than their suggested retail prices.